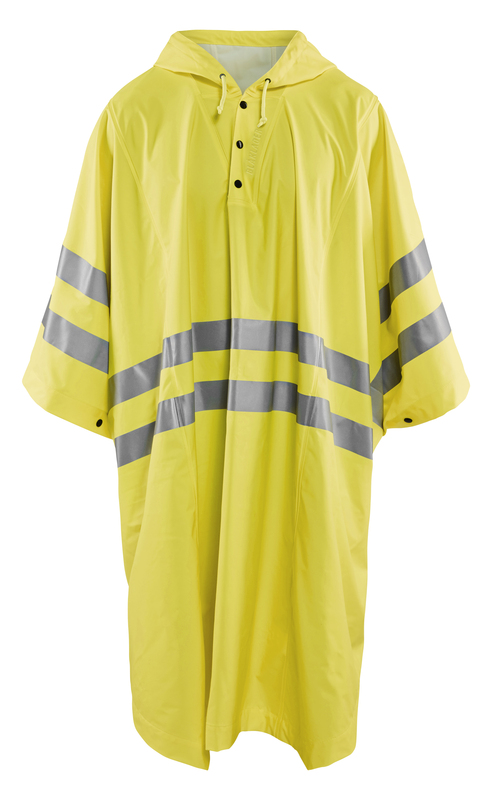 Lightweight and flexible poncho for jobs which need high visibility. 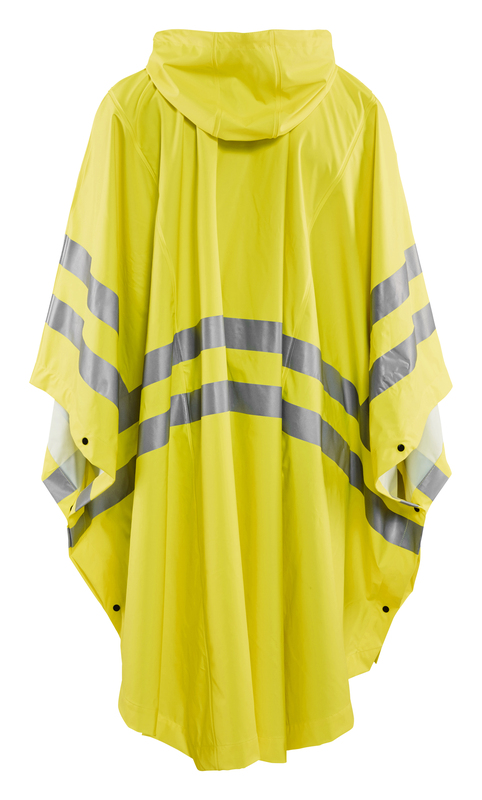 A rain garment with high visibility that is easy to pull on top of regular clothing. With a helmet hood that is adjustable and is easy and convenient for increased freedom of movement. Certified to EN 343, Class 3.1, protective clothing against bad weather and EN ISO 20471, Class 3, protective clothing with high visibility.